Nausea & Vomiting are symptoms of disease and is not a specific illness. Nausea is a sensation that the stomach needs to empty itself, while vomiting or throwing up, is the violent act of forcible empting of the stomach. There are numerous causes of nausea and vomiting, these symptoms may be due to the following: Viral infection, food poisoning, medications, seasickness, migraines and morning sickness to name a few. Nausea can cause very painful stomach pains and cramps. Vomiting can be accompanied by an unpleasant taste in the mouth and can be very uncomfortable. Usually nausea & vomiting does not require urgent attention by a doctor. Dehydration is one of the most serious concerns with throwing up. How fast you become dehydrated will depend on your size and rate of occurrence and also if you have diarrhea as well as vomiting. However if you vomit and the symptoms continue for a few days, or you cannot keep down any fluids or foods then you may have a more serious condition. How do nausea & vomiting treatments work? 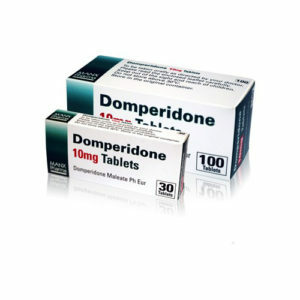 Domperidone is a medicine referred to as a ‘anti-sickness’medication. It can relieve unpleasant pains in the stomach associated with nausea or being sick, known as vomiting. Nausea and vomiting are common symptoms associated with many different conditions and medications. If you feel you know what has caused the uncomfortable feeling make sure to advice the doctor. The doctor will have to establish the cause of nausea and vomiting before prescribing you with the prescription medication domperidone. Domperidone alleviates the sickness feeling by helping the body process the food in the digestive system quicker than normal. This will provide relief and stop feeling of wanting to be sick very quickly. If nausea and vomiting is caused by digestive disorders in the stomach, such as acid reflux domperidone can be very effective. 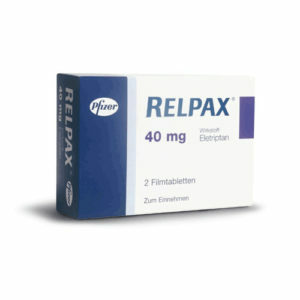 Relpax helps to relieve symptoms of migraines including vomiting, nausea, headaches, pain and sensitivity to light and sound. You wouldn’t take Relpax just for nausea and vomiting unless it was associated with a migraine. Buccastem comes in the form of tablets which have an active ingredient known as prochlorperazine. Prochlorperazine belongs to a family of medicines known as phenothiazines; which are effective in blocking the activities of a chemical in your brain which is called dopamine. What is nausea & vomiting? Vomiting is a forceful coordinated reflex orchestrated by the vomiting center of the brain. Your stomach has to overcome the pressures that are in place to keep food and secretions within the stomach. It is a powerful action accomplished by a fierce, downward contraction of your diaphragm muscle. When this happens the abdominal muscles tighten against a relaxed stomach with an open gastroesopageal sphincter. The contents of the stomach are propelled up and out during a vomiting episode. Please see your doctor for more information and to check if the medication conflicts with any existing medical conditions or medications you are currently taking. How do I buy nausea & vomiting treatments online? First you need to obtain a valid prescription through an online consultation to purchase Domperidone or Relpax as they are prescription medications. This is a free and short consultation from the privacy of your home. This replaces the face-to-face consult you would normally have with a doctor. Once you have been approved the nausea & vomiting medication will be sent out to you.